Backcountry access does not require you to have the necessary skills to travel and explore it safely, although that would be prudent. The resort skier routinely exits the boundary gates and finds him or herself entirely unprepared. Once out-of-bounds, the skill set required to survive and excel changes drastically. Ski technique is but one arrow in the quiver of the backcountry skier. In Outliers: The Story of Success, Malcolm Gladwell suggested that 10,000 hours of practice is necessary to master a skill. If you went on a hundred 8-hour ski tours a season, it would take you 12 and a half seasons to break the 10,000-hour threshold. Only a minority will attain this level of personal practice in their backcountry skiing careers. Effective team membership and performance takes time too. Those backcountry groups that perform at a highly efficient level master the necessary skills over time. If this is the case how can we ever develop the team skills to safely travel in the backcountry before our knees give out? Bruce Tuckman’s 1965 research “Developmental sequence in small groups” provides us with a tool to understand which skills need development and how it happens. In his research, Tuckman identifies five stages of group development, which provide a way to evaluate the group and its readiness or unpreparedness to take on any given objective. A highly effective team needs to develop through several stages before it effectively produces a high quality product; the amount of time to get to that quality product will be different for every group. The stages are characterized by recognizable and observable traits that help us better define where a group is and what types of tasks they may be ready for. Tuckman defined the five stages: Forming, Storming, Norming, Performing and Adjourning. He maintained that these phases are all necessary and inevitable in order for the team to grow, to face up to challenges, to tackle problems, to find solutions, to plan work, and to deliver results. His theories, the basis for subsequent models, are often considered a framework for all types of group development. During the Forming stage, often referred to as the honeymoon, the work output is generally low as members are focused on defining the goals and task, how to approach it, and what skills are needed. The length of this stage will depend on how clearly the task is defined. Groups with simple tasks will move through orientation quickly, but groups with complex goals and tasks may spend much longer in this stage. This stage serves to clarify the team’s mission and to strengthen relationships between team members. Teams that pay attention to building the relationships as well as focusing on the task tend to do better than those that skip over relationship building. Teams, after all, are made up of people who must work cooperatively for a successful outcome. The deeper the emotional ties between teammates, the greater commitment individuals tend to have for the team. All new groups, whether novice or expert experience the forming stage, but must be given the time necessary to form. Objective-based goal orientation should not be the focus; rather, set easily attainable goals that allow the group to foster and focus on greater bonds. The Storming stage is characterized by arguments, a conflict, or a dip in morale. The honeymoon is over. Differences between initial expectations and the reality of the situation become clear. Members may have varying opinions of what the group is to do and how to accomplish it. Members are also beginning to confront the differences in their personalities and values. Members may feel anger or frustration with the task or with other members or may even resent the presence of formal leadership. Generally, this stage is relatively short. Some groups, however, may become stuck in this stage and continue to be both demoralized and relatively unproductive. In the worst cases, some groups never emerge from this stage and, possibly disband in frustration, thus proceeding directly to the Adjourning stage. Groups in the Storming stage should limit their exposure to risk. Big unknown factors are at play while ego and individualism run high. Goal orientation may not be group-centric and the opportunity for accidents often rises. Not speaking up or not “having a voice” can exacerbate this stage. The internalization of dissatisfaction does not equate to harmony. Take the time to resolve personal and group internal struggles and goal conflicts before trying to take on any task. Structured problem-solving tools are often helpful, leading into the subsequent stage. The Norming stage in the group’s development involves the resolving of issues, setting up group processes, setting of group policies, procedures, and values while increasing production. Members are now resolving differences and clarifying the mission and roles. Members are less dissatisfied because they are now learning more about each other and how to work together, and making progress toward their goals. They are developing skills that will help them work together, such as a problem-solving process, a code of conduct, a set of team values, and measurement indicators. Member attitudes are characterized by decreasing animosities toward other members, feelings of cohesion, mutual respect, harmony, and trust, and a feeling of pleasure in accomplishing tasks. The work is characterized by slowly increasing production as skills develop. The group is developing into a team. This is the time to up the ante and focus on outcomes and performance. Setting appropriate and progressively more difficult goals will help the further development of the team. Keep in mind that members are still developing skills around the code of conduct. Patience and tolerance are essential qualities in promoting group development to the next stage, Performing. During the Performing stage, the team is accomplishing goals/work effectively. Production is high and the climate is positive. Member attitudes are characterized by positive feelings and eagerness to be part of the team. Members are confident about the outcome, enjoy open communication, exhibit high energy, and disagreement is welcome and handled without emotional conflict. Although work is being accomplished through all the stages, this stage reflects the work being accomplished most effectively. This is not to suggest that only teams in the performance stage should take on risk or set goals. Rather, if the group has just met and is still forming, then their task expectation should be lower or less risky than groups who have developed into the Performance stage. Additionally, groups with less experience should develop goals that are in line with their experience. One example of a team in the Performance stage would be a very experienced touring party that has achieved the goal of safely skiing a particularly steep line, in deep powder conditions. At this stage of development, the group may implement varied and practiced communication techniques like hand signals or whistling. Position in the terrain and exposure to the risk is respectively purposeful and appropriate. Additionally, a novice touring party who has achieved the goal of safely skiing boot top powder on a lower angle ridgeline could also represent this stage. With this group, communication is also practiced, but has simple delivery and is clearly understood by all group members. Additionally, this group may choose to stay in visual contact at all times whereas another group’s experience may provide them with the ability to communicate out of the line of sight. Both groups have developed techniques that could not be performed on their first outing. Rather, they have practiced and internalized an action and thus adopted a higher-level communication technique. With appropriate goal setting a group of any skill level can have a peak experience and develop into the Performance stage. It has been observed that functional teams occasionally revisit the Storming and Norming stage to strengthen their bond. Higher functioning teams often revisit the Norming stage before Storming occurs. A highly functional team, with many hours of practice in the area of conflict resolution, can recognize the need for a change in group norms before a conflict arises. The fifth and final stage, Adjourning, reflects the ending of the process. Depending on the team’s success in accomplishing its task and how strongly the members bonded, this stage may reflect either a sense of loss or relief. When a team disbands, time should be spent addressing how to properly recognize the team’s accomplishments. Assuming we have all been to the brew pub after an epic powder day, my guess is that backcountry skiers have this stage dialed! In all seriousness, this stage is incredibly important, especially to educators, as it represents how we close our courses. A meaningful debriefing or structured course close is not only imperative to the development of the team by honoring their efforts, but also helps facilitate students’ beginning to tour with peers. Colin Zacharias’ article, Where Do We Go From Here? : A Lesson Plan for Post-Course Student Risk Reduction is an excellent resource that can help instructors develop of an effective adjourning stage. Finally, Adjournment can include the members leaving or in the worst of scenarios, can also be experienced by the loss of a team member due to death. With any loss of life grief is a necessary and integral part of the Adjourning stage. My suggestions for instructors implementing this model of group development begin with having a humble respect for the concepts that we teach and the amount of time students must commit to their own personal application even before a basic competency can be achieved. 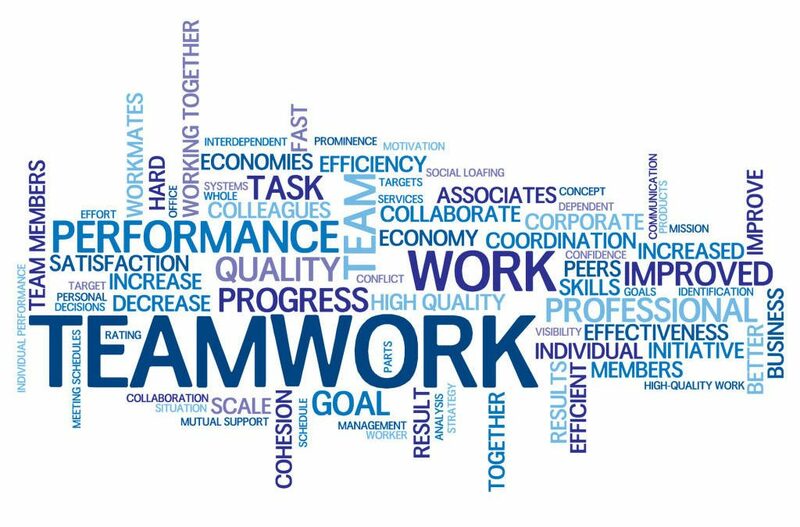 When introducing the concepts of teamwork, we often suggest that everyone has a voice, that team members have as much information about the goals, objectives, roles, values, and processes. For example, the right route for the right group at the right time. While introducing these concepts, include the idea of continuously setting goals to develop these skills through experience and time with considerable practice, preferably under the tutelage of a more experienced partner. Students would be best served if instructors had an increased understanding of how to apply the five stages of group development model to a working group in order to facilitate better group experiences and outcomes. I have been a part of this at the beginning of every AIARE in-house training course, where enough time for some type of introductory activity allowed for a forming stage, the crucial building block to creating a functional team. Individuals are all more accountable to a group when they have some form of emotional connection. By developing good facilitation techniques and fostering a team atmosphere in our courses, not only do we model the process of team building but potentially create an environment that is emotionally and physically safer for your students to learn in. Finally, the idea of mentorship may be the most important part of the solution. Through mentorship one may develop skills faster and avoid some of the pitfalls of inexperienced leadership and decision-making. Most professional organizations committed to safety suggest this practice. Both AIARE and the AMGA are great examples of this practice; they support mentoring by requiring it as part of the process of becoming an instructor. My suggestion is to take this a step farther and be a mentor to someone in your personal life as well. I am not suggesting you to take a gaper out to tomahawk down your double top-secret powder stash. Rather, support someone who has more potential than experience and whose company you enjoy. While these suggestions won’t eliminate accidents, they can be part of the solution. In 1994, Fredston, Fesler and Tremper wrote an article entitled “The Human Factor –Lessons for Avalanche Education.” In their conclusion, they stated, “In teaching mountain travelers how to evaluate avalanche hazard it is not enough to focus only on the physical factors causing avalanches.” They make it clear that more time should be given to the exploration and understanding of group dynamics. Just one more skill set worthy of 10,000 hours of practice. What are you waiting for? The clock is ticking!